From the perspective of many drivers, glancing down at a cellphone for a few seconds might not seem like a major problem. But traffic conditions can change in just a split second-and that’s all it can take for an accident to occur that could cost someone his or her life. Despite distracted driving laws being on the books in many states, including right here in Louisiana, far too many accidents are still caused each year by these negligent behaviors. At The Law Firm of Bart Bernard, our legal team frequently works with victims of distracted driving accidents and their families. We understand exactly what it takes to recover from a major wreck and move forward with one’s life. Louisiana residents can turn to our personal injury law firm for compassionate guidance on their legal rights and options. To responsible drivers, the thought of watching a movie or applying makeup while behind the wheel might seem absurd. But the sobering truth is that many drivers do indeed engage in these behaviors, putting the safety of themselves and everyone else on the road at risk. Texting and driving statistics reflect that younger demographics are more likely to engage in cellphone use while driving. Distraction.gov reports that 38 percent of distracted drivers who used cellphones in fatal crashes were in their 20s. However, texting while driving is dangerous at every age, regardless of a driver’s experience behind the wheel. During the daytime hours, it has been estimated that at any given moment there are about 660,000 drivers who are using cellphones or other electronic devices while driving. How many people have died from texting and driving? The tragedy of fatal distracted driving accidents is that these are all preventable deaths. No family should have to face the loss of a loved one due to the negligence of another driver, but in 2014, 3,179 families nationwide had to do exactly that. Nationwide, distracted driving deaths caused by all forms of distraction have actually declined in recent years, but distracted driving deaths caused by cellphone use have increased. In Louisiana in 2005, there were just six deaths attributed to cellphone use. In 2009, the number was 16. However, the case could be made that these statistics are misleadingly low, given the likelihood of cellphone use going unreported. Like other states, Louisiana has passed laws aimed to curb distracted driving. It is incumbent upon all drivers within the state to learn about the Louisiana texting and driving laws, and particularly for parents to familiarize their teens with these laws. Is texting and driving illegal in Louisiana? The laws prohibit all drivers from operating any motor vehicle while using a wireless telecommunications device to write, send, or read a text message. This is a moving violation and a primary offense, punishable with a fine. Cellphone use during emergencies, such as to call 911, is allowed. It is also illegal in Louisiana to engage with social media while driving. Can you be sued for texting someone who’s driving? Lawsuits have already been filed against negligent drivers who caused accidents because of their cellphone use. But some experts are predicting that there may soon be lawsuits filed against people who sent text messages to other people who were driving. Judges in other state courts around the country have ruled that sending a text message despite knowing that the recipient was driving could make the text sender partially responsible for a crash. In the wake of a distracted driving accident, crash victims often struggle to move on with their lives. A personal injury lawsuit may be filed to demand compensation for the victims’ medical expenses, property damage, lost wages, and pain and suffering. Victims may also demand compensation for their loss of future earning capacity if they have sustained permanent disabilities. No amount of compensation can reverse catastrophic injuries or heal the loss of a loved one. But filing a lawsuit can help your family pursue justice and hold the negligent party responsible. After a crash, you need a texting and driving accident lawyer on your side. 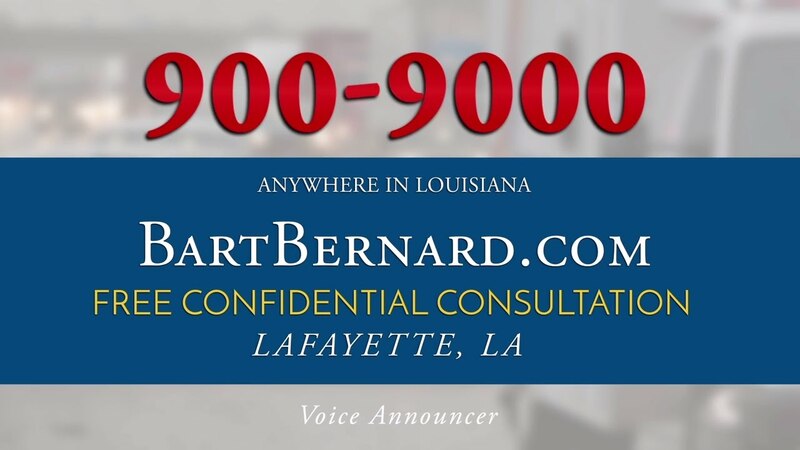 Call The Law Firm of Bart Bernard today to schedule a one-on-one consult with a personal injury attorney in Louisiana. If you’re considering filing a distracted driving lawsuit, you may wish to read more about this prevalent problem. You can turn to the following authoritative sources for further information.